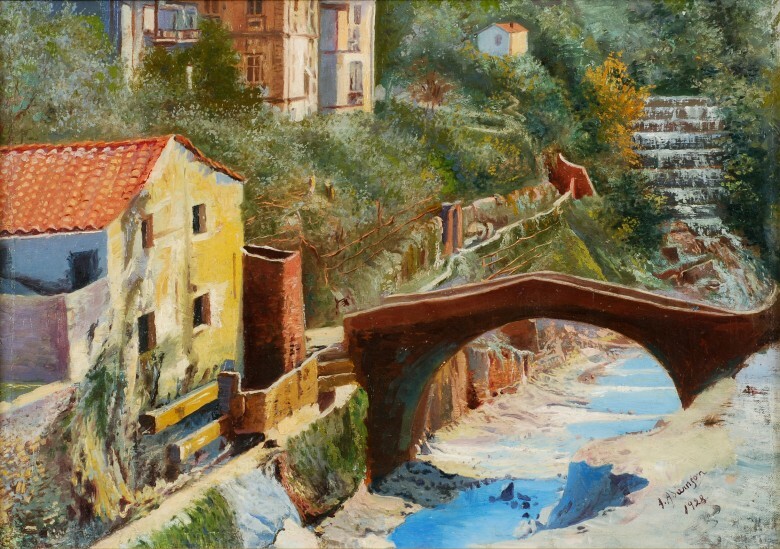 Amandus Adamson visited Italy repeatedly in the 1920’s because since he was convinced that the conditions and skills necessary for casting his highly detailed sculptures were lacking in his homeland, he considered it necessary to go to “Toscana, that ancient land of casters” (Hanno Kompus). There the aging artist also recuperated his health, which tended to fail him due to his fervent pace of working (Adamson created many monuments throughout Estonia in the 1920’s dedicated to the Estonian War of Independence). Adamson’s subsequent trip took him to Italy in the spring of 1928, yet this trip was somewhat different. Upon returning to Estonia, he acknowledged to journalists: “Once as I was working, I was quite spent in terms of my health. I nevertheless managed to complete the work. After that I planned to rest, even though there was little opportunity for resting. We stopped for ten days in a divinely quiet little place called Santa Margarita, then in Nervus, and then we went to Venice via Genoa and Milan.” Incidentally, he did not visit those places by chance – Adamson had travelled in those areas decades earlier as well. He also met his future wife somewhere in this region and he witnessed the birth of his daughter in Carrara. Adamson also painted during those very same ten days in the spring of 1928. There he made the sketch or at least acquired impressions for "Landscape with Bridge" as well.